A scrap metal dealer from the US Midwest has stumbled upon an incredibly rare Faberge egg after a financially tight seller showed up with the piece hoping to make $500 once melted down. 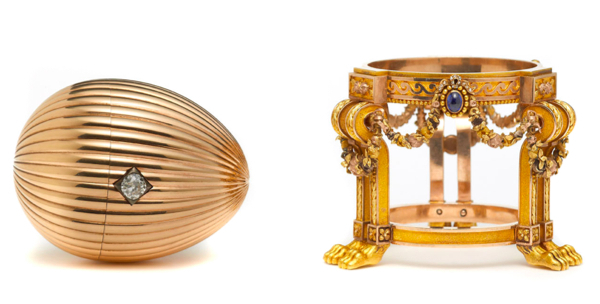 According to the Daily Telegraph, the dealer — who has chosen to remain anonymous— sensed the tiny golden egg was worth considerably more than the $13,000 asked price, so it bought it without further questions, only to find later it was once owned by Russia's Tsar Alexander III. 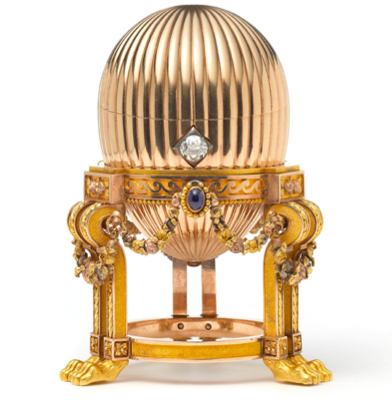 The egg, seized during the Russian Revolution, is one of only a few original Faberge eggs still known to exist and it is worth over $33 million (£20 million). According to the Daily Mail, Kieran McCarthy, the Faberge expert who verified the discovery, compared it to "Indiana Jones finding the Lost Ark." The 8.2-centimeter (3.2-inch) egg, g on the brink of being melted down for scrap, is supposed to be one of three the Tsar Alexander III gave his wife, Tsarina Maria Feodorovna, as an Easter gift in 1887. The piece lies on top of an elaborate gold stand supported by lion paw feet. Three sapphires suspend golden garlands around it, and a diamond acts an opening mechanism to reveal the Vacheron Constantin watch inside. 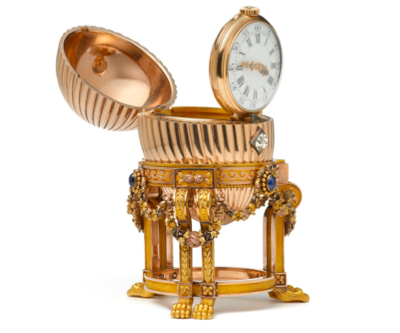 Peter Carl Faberge made about 50 imperial eggs for the Russian Tsars from 1885 to 1916.